GATE 2019 Results: IIT Madras has released the results and Score Card of GATE 2019 at gate.iitm.ac.in. The Graduate Aptitude Test in Engineering (GATE) was held in February and the final answer keys were released on March 13. The candidates can download the scorecard from March 19 onwards. Candidates will be able to download the scorecards from March 19 to May 30 from the GOAPS portal. No hard copies of the same will be issued. GATE score is valid for three years from the date of announcement of the results. The Indian Institute of Technology, Madras (IIT Madras) has released the scorecard of Graduate Aptitude Test in Engineering (GATE 2019). The GATE 2019 scorecard has made available on the official portal of the exam - gate.iitm.ac.in. The candidates who appeared for the 2019 Graduate Aptitude Test in Engineering can visit the official website to check and download their scorecard. 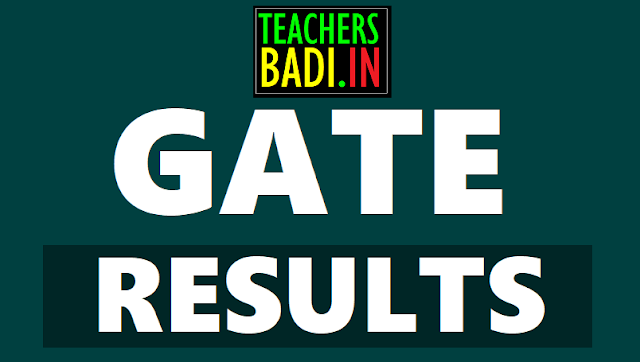 Graduate Aptitude Test in Engineering, GATE 2019 result has been declared. Candidates who had appeared for the GATE 2019 examinations in February 2019 can now check their final results. The final answer keys were released. Exam paper and category wise qualifying marks are also available on the official website gate.iitm.ac.in along with the result. Direct link to check the GATE 2019 Result along with important instructions regarding downloading GATE 2019 scorecard is provided below. Indian Institute of Technology, IIT Madras has declared the GATE 2019 Result. The results are available on gate.iitm.ac.in. GATE 2019 Score Card can be downloaded only by the candidates who have qualified the examination. Scorecard would be available for download from March 20, 2019. Candidates are advised to keep a check on the official website for updates. Check important instructions regarding GATE scorecard download. Scorecard and result can be checked on the GOAPS Portal appsgate.iitm.ac.in. Steps and link below. GATE 2019 Result - Steps and link to check result on GOAPS portal: Go to the official website gate.iitm.ac.in and click on the result link. Check your GATE 2019 Result on gate.iitm.ac.in here. To check qualifying marks for GATE 2019, click here. Candidates can check their result by logging directly on the GOAPS portal on appsgate.iitma.ac.in. In case you are not able to login, please try after some time. GATE 2019 Result - Download Scorecard, Important instructions: GATE 2019 Scorecard download would commence from March 20, 2019. Candidates would be able to check their final score and rank today. The scorecard has to be downloaded from the GOAPS portal. The facility to download the GATE 2019 scorecard would be available from March 20, 2019 till May 31, 2019. There is no fee requirement. GATE 2019 Results: Indian Institute of Technology (IIT) Madras has released the Graduate Aptitude Test in Engineering (GATE 2019) results on its official website today, i.e., March 15, 2019. The candidates who have appeared for the GATE 2019 can visit the official website of GATE exam - gate.iitm.ac.in - to check and download the result. IIT Madras has released the results for all 24 papers. The candidates can obtain the GATE 2019 result from the direct link provided below. Candidates need to submit their enrollment ID and password to obtain their GATE 2019 result. The scorecard will be issued only for the qualified candidates on March 20, which will be valid for three years. The last date to download scorecard is May 31, 2019. The information on the official website reads "GATE 2019 scorecard can be downloaded from the GOAPS site between March 20, 2019 and May 31, 2019, by the qualified candidates." The GATE 2019 examination was held in the month of February 2019 by Indian Institute of Technology, Madras (IIT Madras). The score of GATE exam is valid for three years. The exam is conducted for admission to the post graduate technical courses in various IITs and other engineering colleges. The GATE scores are also used for PSU recruitment by IOCL, CEL, RITES, etc. As per the notification GATE 2019 result was expected to be released on March 16, 2019. However, GATE 2019 result has declared one day before the notified date. Only 16 to 17 per cent candidates qualify GATE examination every year. GATE 2018 results: How to check ? (b) All other candidates whose marks are greater than or equal to the qualifying mark of OBC (NCL) candidates in their respective papers. Those who crack GATE and score well, get admission in top colleges or they can apply in various government organisations. Starting in 2012, recruitment via GATE score is now a trend where PSU’s use the same to shortlist candidates as trainee engineers. A huge number of vacancies in these PSU’s are filled through this exam. Most PSUs have already released the application forms.